The Honey Dewdrops enchanted audiences on their debut UK tour. Look out for their return in 2020! Hailing from Virginia, The Honey Dewdrops settled in Baltimore in 2014 after a long stretch of living on the road. This outstanding Americana/roots duo (Laura Wortman and Kagey Parrish) has been touring full time for almost 10 years throughout North America, and made their first European foray in late 2016 on Germany’s Bluegrass Jamboree tour. True North Music is delighted to be bringing The Honey Dewdrops back to Europe in early 2019 for their debut UK tour! 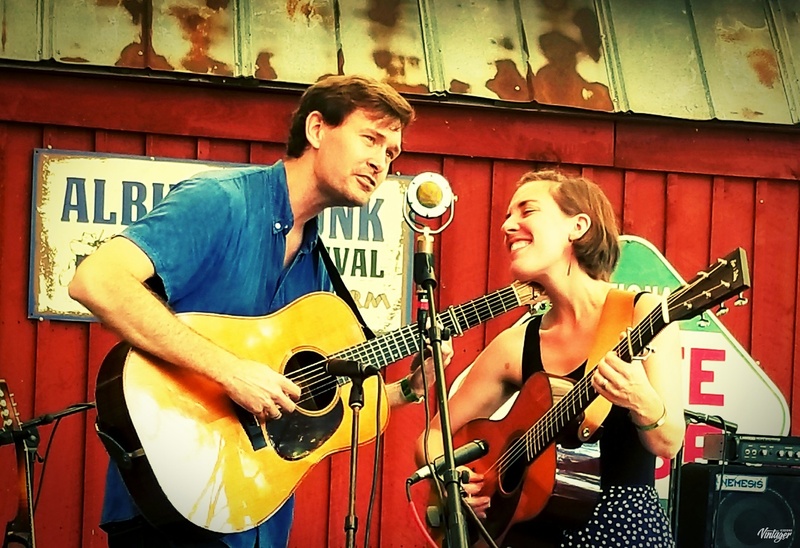 With gorgeous vocal harmonies and a versatile musical set-up that includes clawhammer banjo, mandolin, harmonica and guitars, the duo treats listeners to a raft of memorable, beautifully performed songs. Although undeniably steeped in old-time music, bluegrass and country, The Honey Dewdrops manage to exquisitely encompass both traditional and modern in their unique sound. The pair have released four albums, and are working on their upcoming release. Both recordings and live performances have received glowing reviews, often described as “mesmerising,” and “evocative”.